Heat oven to 425°F. 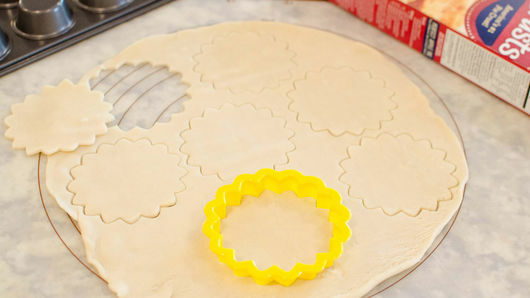 From 1 box Pillsbury™ refrigerated pie crusts, softened as directed on box, unroll 1 crust on work surface. Use 3-inch round cutter to cut 8 rounds, and place on outsides of cups of upside down nonstick mini muffin pan, skipping every other one. Repeat with second crust. In a large mixing bowl, whisk together the milk and pudding mix until thickened. Stir in the pumpkin pie spice and pumpkin puree until thoroughly combined. Fill each shell with the pumpkin mixture. Serve immediately, or refrigerate and serve within 3 days. Top with a dollop of whipped cream before serving. Reserve any leftover pumpkin pie filling to use as a dip with graham crackers. 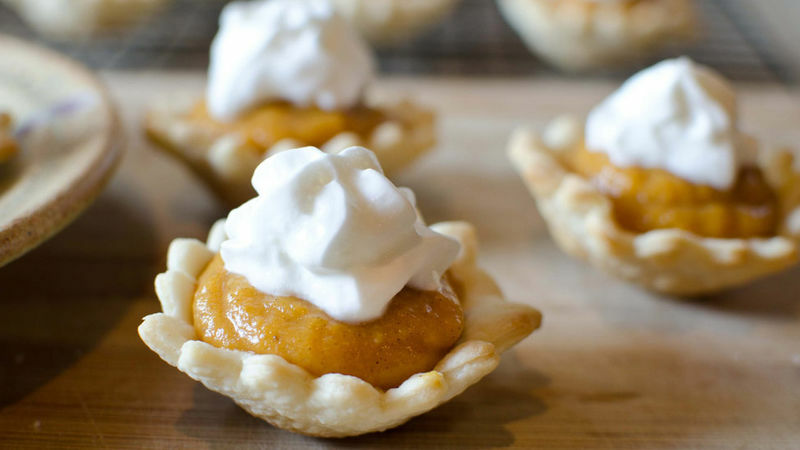 Serving mini pumpkin pies is a fun way to change up the classic pumpkin pie tradition, but it’s also a great way to serve pumpkin pie to a crowd. 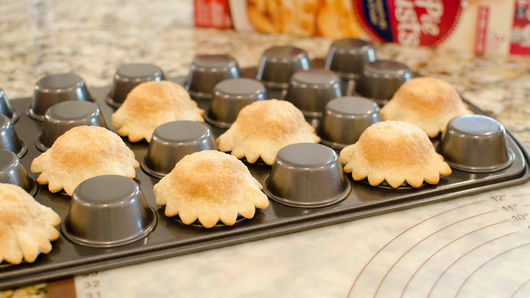 This recipe can actually make up to 20 mini pies! This interpretation of pumpkin pie aligns nicely with the new trend of Friendsgiving, which is quickly moving from trend to tradition. It’s an easy make-and-take recipe, and as an added bonus, you can make these mini pies in advance of the holiday or party. They keep in the refrigerator for up to three days. If you still can’t imagine your Thanksgiving holiday without traditional pumpkin pie, you can make the minis for the office or for the kids to take to school, and still make the classic pumpkin pie for Thanksgiving Day.